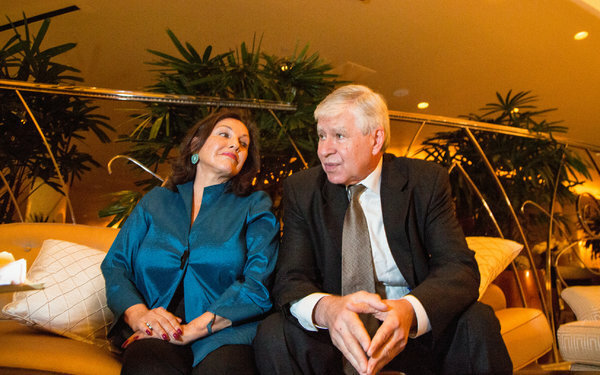 WASHINGTON — When they met at the J. W. Marriott Hotel two blocks from the White House, Linda Singer, a former attorney general turned plaintiffs’ lawyer, approached Attorney General Gary King of New Mexico with an unusual proposition. 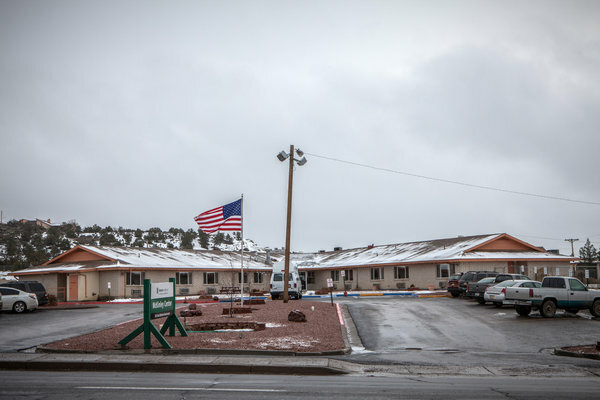 Ms. Singer wanted him to sue the owner of a nursing home in rural New Mexico that Mr. King had never heard of and Ms. Singer had never set foot in. She later presented him with a proposed lawsuit that did not cite any specific complaints about care. What she shared with him were numbers on staffing levels gleaned from records suggesting that residents were being mistreated there and at other facilities. The casual nature of the exchange between the two Democrats, which was among thousands of pages of emails obtained by The New York Times, belied the enormous potential payoff for Ms. Singer’s firm if she could persuade Mr. King to hire her and use his state powers to investigate and sue, which he did. The partnership is part of a flourishing industry that pairs plaintiffs’ lawyers with state attorneys general to sue companies, a collaboration that has set off a furious competition between trial lawyers and corporate lobbyists to influence these officials. Emails and contingency lawyer contract documents obtained by The Times from attorneys general in 15 states show how these alliances have scrambled roles in the legal profession. State attorneys general defend the practice, saying that with tight budgets, hiring outside lawyers is often the only tool they have to achieve rough parity with the army of corporate lawyers who are aggressively trying to blunt the lawsuits — in court, through legislation and in elections in which they target certain attorneys general for defeat. 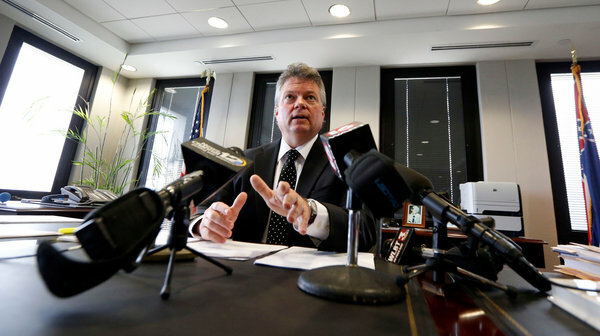 In no place has the contingency-fee practice flourished more than in Mississippi, where lawyers hired by Attorney General Jim Hood, a Democrat, have collected $57.5 million in fees during the last two years — three times as much as Mr. Hood has spent on running his state office during the same period. Mr. Hood has taken in $395,000 in campaign contributions from trial law firms over the last decade, more than any other attorney general. In one case, a senior partner at the Houston-based firm Bailey Peavy Bailey donated $125,000 to Mr. Hood after the firm filed a lawsuit on behalf of the state against Eli Lilly, the pharmaceutical company, litigation that in 2010 generated a $3.7 million payment to the outside lawyers. Mr. Hood has now signed a second contract with the firm, to sue the drug company Bristol-Myers Squibb. Mr. Hood’s office rejected any suggestion that the contracts are given out in exchange for donations. “Whether or not an individual makes a campaign contribution during an election cycle has no bearing on any decisions made by the office of attorney general or its career attorneys who adhere to the highest standards of professionalism,” the office said in a statement. Over all, plaintiffs’ firms have donated at least $9.8 million directly to state attorneys general and political groups related to attorneys general over the last decade, according to an analysis of campaign finance data by The Times, with more than 76 percent of that money going to Democrats. The financial benefit to Mississippi’s treasury is also clear. Mr. Hood’s office has brought in $400 million over the last decade from lawsuits filed with the help of outside lawyers, state records show. The boom in the contingency law business has been driven in part by former attorneys general like Ms. Singer who have capitalized on personal relationships with former colleagues that they have nurtured since leaving office, often at resort destination conferences where they pay to gain access. Ms. Singer herself has made dozens of pitches, presenting attorneys general with a shopping list of possible litigation topics, like defective highway guardrails and abuses by for-profit colleges, emails show. Mr. King and other attorneys general say lawsuits against major corporations or industry sectors can require the hiring of expert witnesses and produce hundreds of thousands of pages of documents that must be reviewed. All of this comes at a high cost, and outside lawyers can foot the bills upfront. But some of his colleagues remain sharply critical of the practice. “Farming out the police powers of the state to a private firm with a profit incentive is a very, very bad thing,” said Attorney General John Suthers of Colorado, a Republican and a former United States attorney. For Ellen F. Rosenblum, a Democrat who was the newly elected attorney general of Oregon, November 2012 had been a particularly busy month. She was investigating allegations of ballot tampering, and, on a personal level, her daughter’s wedding was approaching. But Ms. Singer was determined to get on the attorney general’s calendar to pitch her cases. The exchange echoed pleas that Ms. Singer sent to attorneys general — almost all Democrats — in Arizona, Connecticut, Nevada, New Mexico, New York and Washington State as she worked to team up with them on major civil cases with her firm, Cohen Milstein. Many of the pitches generated no new deals. Ms. Rosenblum, for example, has not given her a contract so far. But a single case can generate millions in payments to her firm. Though Ms. Singer, 48, served just a year as attorney general in the District of Columbia, she had a long prior tenure in public service jobs, and she referred to her work at Cohen Milstein as an extension of her commitment to serving the public good. “There is not a bit of shame about anything we do here,” she said in an interview in her Washington office. Hers is an expansive portfolio of cases. Mississippi hired her to handle an investigation by the state of the credit ratings agencies Experian and TransUnion, which was based on an allegation that they knowingly included errors in their credit files. The relationship was made clear in a subpoena issued to TransUnion in July 2013. “Please direct any questions regarding our requests or your production to our outside counsel,” said a cover letter on the subpoena, emblazoned with the state seal. It also listed Ms. Singer’s telephone number and address in Washington, in addition to information for a state official helping to supervise the case. Nevada hired her firm in 2009, under a contract that had an exceptionally broad mandate: to seek compensation for anyone in the state who was harmed as a result of fraudulent mortgage lending practices. And Ms. Singer negotiated a settlement with Bank of America that generated an extra $38 million for Nevada, and $5.6 million for her firm — reflecting a 15 percent fee. She was also successful in adding to her nursing home case in New Mexico by persuading the attorney general of Pennsylvania to sign a contingency-fee contract pressing similar claims. In many of those cases, Ms. Singer’s legal theory, at least initially, had a generic quality. In New Mexico, she and the state ended up suing a different company altogether — one based in Texas, instead of the Pennsylvania-based chain that Ms. Singer had identified in a draft complaint she initially provided to Mr. King. 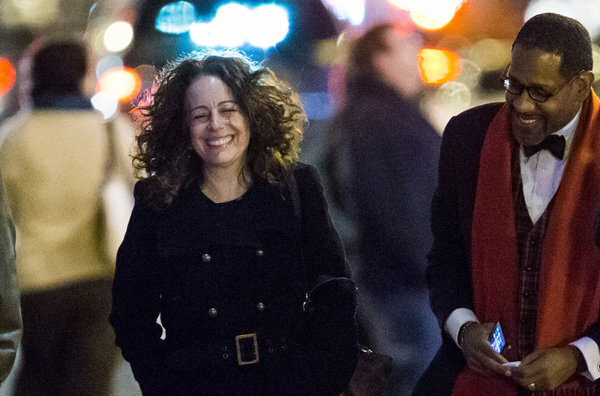 “We go where the evidence leads, and no place else,” Ms. Singer said, explaining the change. Mr. King acknowledged that the lawsuit relied on a novel claim, developed through the use of a software program, that estimated resident harm based on the ratio between nurse’s aides and residents. But Mr. King said that because Cohen Milstein was covering most of the cost, there was little risk to the state, adding that he was receptive to this approach because of what he said had been a disturbing pattern of abuse in his state’s nursing homes. “The court system in America is a good way to determine if that is a sufficient argument,” Mr. King said. Ms. Singer’s firm does not have the field to itself. Former attorneys general, including Patricia A. Madrid of New Mexico, Walter W. Cohen of Pennsylvania, Grant Woods of Arizona, Patrick C. Lynch of Rhode Island, Steve Six of Kansas, Drew Edmondson of Oklahoma, Peg Lautenschlager of Wisconsin and Mike Moore of Mississippi, have also pursued or struck deals with states, documents obtained by The Times show. Several of them work simply as brokers, earning a commission just for helping to pitch a case. Ms. Madrid has flown around the country with her husband (also a lawyer), acting as a broker to solicit business. They traveled early this year to Vermont on behalf of the Texas-based law firm Baron & Budd and successfully pitched the firm to the staff of the attorney general, an old friend, to represent the state in a lawsuit against oil companies over allegations that a fuel additive caused groundwater contamination. Ms. Madrid will earn a fee for helping to sell the job. Vermont’s attorney general, William H. Sorrell, said he first developed a friendship with Ms. Madrid when they traveled to Israel together as part of an official delegation of attorneys general. He acknowledged that Ms. Madrid played a role in pitching the case, but said he agreed to the deal only because it will help Vermont bring in the largest possible recovery. “An office my size to take on a major company or a whole industry, like the oil industry, is David versus Goliath, times 10,” said Mr. Sorrell, who has a staff of about 80 lawyers. One night last week at the restaurant Rosa Mexicano in Washington, as margaritas flowed and trays of shrimp and chicken skewers were passed, the network between contingency-fee lawyers and Democratic attorneys general was on vivid display. The restaurant was closed for a private holiday party hosted by the Democratic Attorneys General Association. These plaintiffs’ firms have donated more than $3.8 million to the group over the last decade, money that has been passed on in chunks to Democrats to help them with their re-election bids. Ms. Singer, along with lawyers from at least nine other firms, worked the crowd, chatting up the attorneys general from Vermont, Virginia and other states, while Marlon E. Kimpson, a lawyer from Motley Rice, which focuses on securities litigation, introduced himself to the new attorneys general from Maryland and New Mexico. The event was co-sponsored by the law firm Kaplan Fox, which just secured a multimillion-dollar payout after suing the mortgage giant Fannie Mae on behalf of the State of Tennessee. “It was like a family party,” said one lawyer who attended and who requested anonymity because it was a private event. CROWDED FIELD From left, former Attorneys General Peg Lautenschlager of Wisconsin, Mike Moore of Mississippi and Steve Six of Kansas, who have helped pursue or strike deals with states on suits. Credit Left to right: Morry Gash/Associated Press; Rogelio V. Solis/Associated Press; Orlin Wagner/Associated Press. That is precisely the kind of coziness that has driven corporations to marshal a counteroffensive by challenging on multiple fronts attorneys general who hire contingency lawyers. Darrell McGraw, who collected more than $2 billion worth of settlements in partnership with contingency-fee lawyers during his tenure as West Virginia’s attorney general, was one of the early targets. “McGraw diverted millions to pet projects and to campaign donors he hired,” said one 2012 television advertisement during his re-election campaign, a reference to a settlement his office had negotiated with Purdue Pharma over its sale of painkillers. That deal included a $2 million payment to contingency-fee law firms whose partners were past campaign donors. 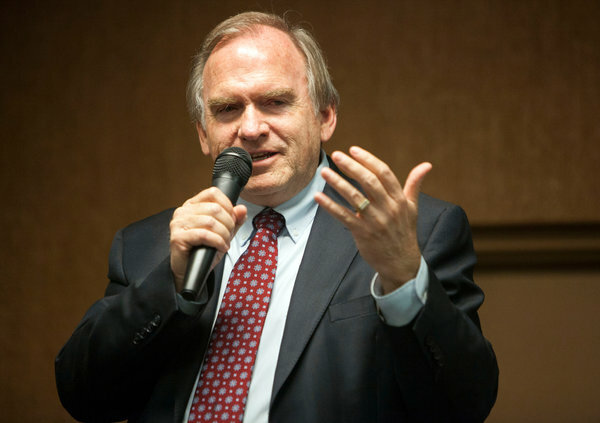 His campaign bought its own advertisement defending his efforts, as did an independent group called the Mountaineer Committee for Justice and Fairness that is funded in part by plaintiffs’ lawyers. But Mr. McGraw said the assault was overwhelming, and he was defeated after two decades in office. “They are simply able to eliminate people,” Mr. McGraw said. The attempts to push back have come in federal and state courts as well. Companies as diverse as Diamond Foods, the snack food maker, and Merck, the pharmaceutical giant, have filed lawsuits or counterclaims arguing that the attorneys general improperly turned over state law enforcement powers to private parties, citing their financial incentive to push ahead with cases against them, even if the facts did not support the claims. The court challenges have yet to be successful, but some federal judges have at least been receptive to the argument. The appeal to state legislatures is the most intensive part of the campaign. Since 2012, at least 14 states have adopted new rules that generally require attorneys general to make a specific “finding of need for outside counsel” and often to have an open competition for the work. In several states, limits have also been placed on fees. As Gov. Bobby Jindal signed the legislation in June, Pete Martinez, the senior director for state government affairs at Pharmaceutical Research and Manufacturers of America, stood directly behind the governor, with a slight smile. “The way these issues really get done is a result of the grass-roots effort,” Lisa A. Rickard, the head of the U.S. Chamber of Commerce’s Institute for Legal Reform, said in October as she presented an award to the business leaders from Louisiana who led the fight. But the grass roots had high-powered allies. Mr. Martinez was there again as the award — a small glass gavel that Ms. Rickard referred to as the chamber’s version of the Oscar — was bestowed. Plaintiffs’ lawyers said they were not surprised by the onslaught. The plaintiffs’ bar — and its allies in the offices of attorneys general — have tried to fight back. Mr. Lynch, the former Rhode Island attorney general, who represents three of the nation’s largest plaintiffs’ firms, sent a confidential appeal to half a dozen state attorneys general in January, asking them to intervene in the matter with the United States Supreme Court to protect their ability to file federal securities fraud cases, typically handled by outside lawyers. “Based on our conversation last night, I write to get confirmation that you will sign this brief today,” Mr. Lynch wrote to Ms. Rosenblum, the Oregon attorney general. He added that he already had a tentative commitment from Mr. Hood, as well as from Attorney General Bob Ferguson of Washington State and Attorney General Kathleen G. Kane of Pennsylvania, all Democrats who have taken contributions from the contingency-fee lawyers. A spokeswoman for Ms. Rosenblum said the contributions played no role in the decision. Instead, her staff agreed to adopt the brief as its own, after making some editing changes, because it agreed with it. Still, the counterattack by big business has had its impact. Ms. Madrid said some newly elected Democrats were reluctant to hire outside firms, fearful that they were going to be targeted for defeat in elections. But the sales pitches are still taking place, with Ms. Singer, in particular, urging attorneys general to join her firm for a new round of possible cases, including ones against makers of furniture that has a chemical additive that some consider harmful, and drug companies that sell certain painkillers. In fact, at least three former attorneys general are pitching painkiller abuse cases to states nationwide, although no state has yet publicly signed up. A version of this article appears in print on December 19, 2014, on page A1 of the New York edition with the headline: Lawyers Create Big Paydays by Coaxing Attorneys General to Sue. Posted on December 21, 2014, in Postings. Bookmark the permalink. Leave a comment.